Ms. Callas was a top graduate of UCLA (M. ARCH ). She formed her own design/build firm where she demonstrated forward-thinking concepts and a preternatural practicality for resolving details in the field. This unique talent captured the eye of the late-great designer, Franklin Israel who formed a partnership with his star student as the firm: Franklin D. Israel design associates - Barbara Callas architect. Ms. Callas’ practice followed. Though California based, it has a world-wide reach. 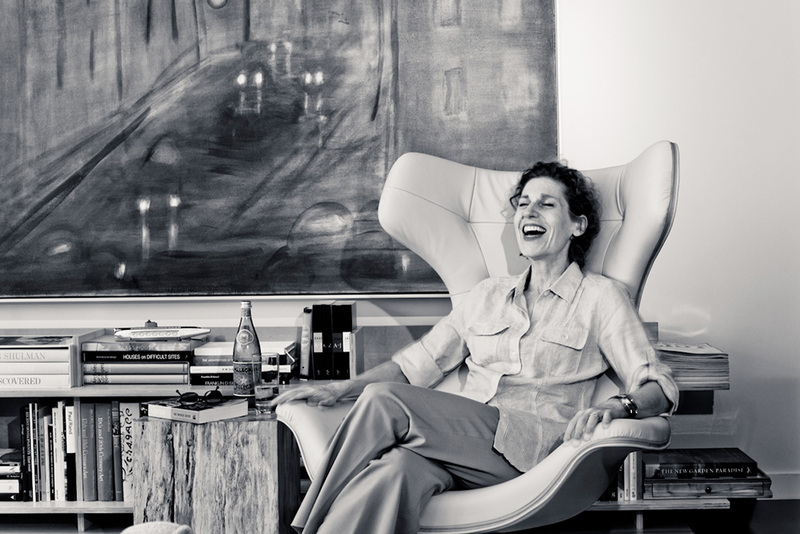 She has designed an interior in Tel Aviv that views the Mediterranean, reconfigured and restored the Pent House of a Victorian Manse in London, and converted a condo over the Pacific into a residence that serves the dual function of a home/art gallery. The Procida Group of New York –developers of Richard Meier’s Prospect Park Residences – engaged Callas to design interiors for Brooklyn High Rises and model units for The Dillon in association with its architect: Smith-Miller + Hawkinson. Close to home the diversity and extent of her work is manifest in the public sector where she was principal-in-charge of design for the UC Riverside Fine Arts Building, the UCLA Revlon Breast Center, and the UCLA School of Public Policy Building. Ms. Callas has recently completed the design/build of THE TOWER HOUSE (see Tower House), and has transfigured the EASTGATE Entrance to the Hollywood Bowl. She project-managed a number of the varied and complex residences she has designed, including her own home, COR-TEN COTTAGE. They have been featured on the AIA Home Tours. Each of Ms. Callas’ projects reflect her dedication to meticulous detailing and experiment with a myriad of finishes that will last long into the future. The work, the design, and the material - despite being at the cutting edge of minimalism - is soundly rooted in classicism and comfort. Ms. Callas has taught at Otis Parsons School of Environmental Design, lectured, in Milan, Italy, at Stanford University, and at the Denver Museum of Art. She has numerous awards for design and academic achievement. Her work has been recognized repeatedly by a plethora of prestigious publications.